In this new century, how does a parrot person keep up with all the information about parrots available out there on the Internet? It's not easy. But we've simplified things for you. We follow scores of parrot blogs and websites so you don't need to. 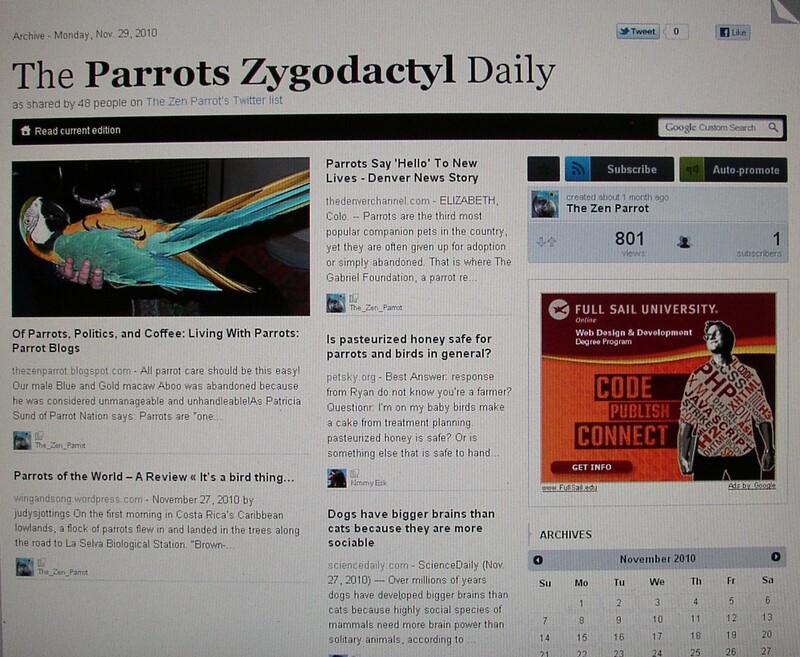 And we compile the information into a daily Twitter newspaper, The Parrots Zygodactyl Daily. You can keep up with the latest writing about all things parrots by subscribing to this daily newspaper on our Twitter feed, The_Zen_Parrot. And the best part is: There's no actual paper that you have to worry about tossing out or recycling. It's all digital. Of course, there's nothing to put under the parrot cage either!